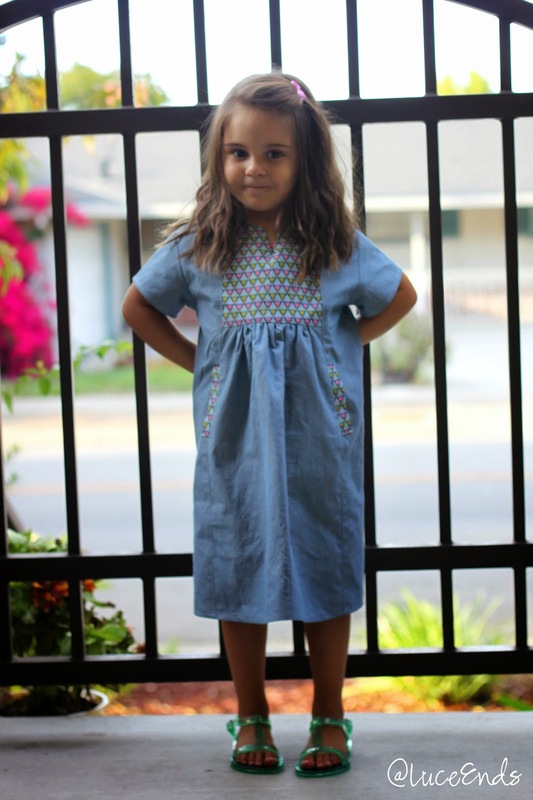 I love the way this Hide and Seek Dress, pattern by Oliver + S, turned out! I traced it 3 months ago, cut the fabric out last month, and finally got the sewing done this last week. I was not sure what size to make. We have been buying sizes 4 and 5, but I know Oliver + S runs big. I ended up making the 4. I'm pretty sure the 3 would have been fine if I added length, but this way it will fit longer! 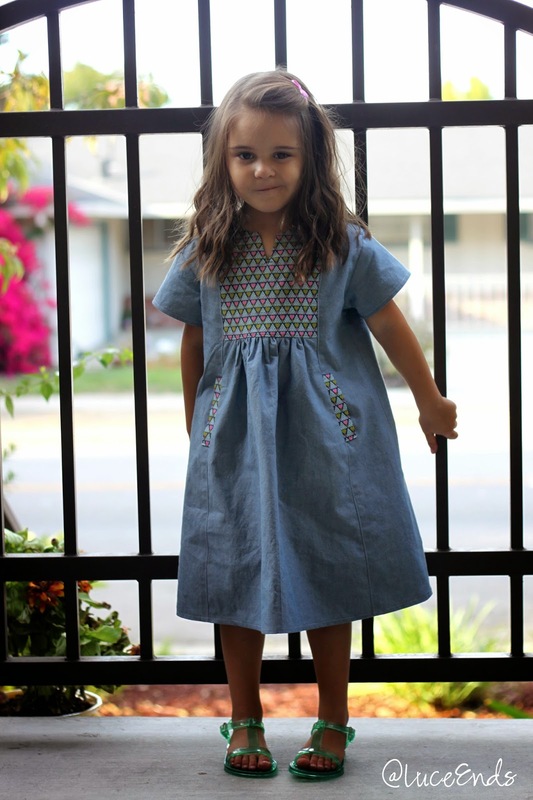 The pockets on this dress are a hit with Miss H.
I used a chambray of some sort, maybe from Robert Kaughman, that I picked up at Bolt on our drive through Portland in July. The hearts are a quilting cotton from Anna Maria Horner. Dress construction was very basic, but a little bit more time consuming since the front and back are both basically 3 panels wide. lovely dress, and she looks adorable in it!